If you’re thinking of setting up or buying a care home, there’s a lot to consider. Political and demographic trends have thrown up some considerable challenges to the care home sector, but there are definite positives to pursuing this business opportunity. With a rapidly ageing population and a growing discrepancy between increased life expectancy and healthy life expectancy, demand for elderly care will certainly grow over the next few decades. 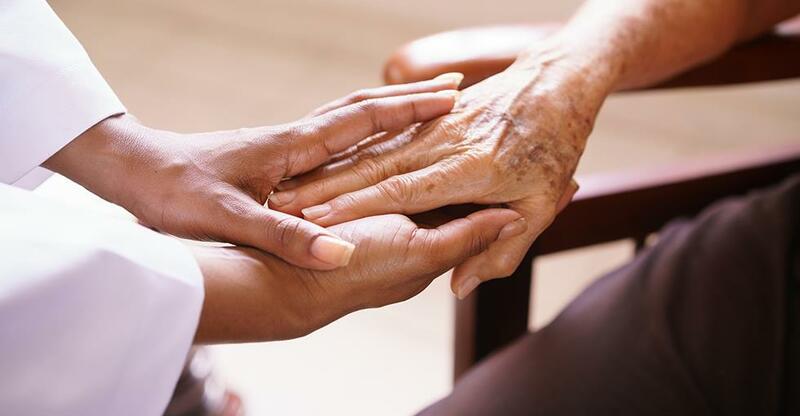 The number of UK residents aged 90 and over has almost tripled since the early 1980s and there are nearly half a million elderly people living in care homes across the UK. This figure is set to grow dramatically, which means, along with recent public sector funding cuts, that older generations are more likely to have to fund care options with personal wealth. In this context, it appears that a care home that relies heavily on local authority placements, at rates that are considerably less than self-funding residents, will struggle – especially in light of the new national living wage. The running costs will simply be too high when set against potential income. But it’s a favourable climate for the private sector, whose mission now is to provide the elderly’s growing ranks with greater choice and control of their care and services at affordable rates. An important distinction to make is between care homes and home care. The latter – companies that provide care (both medical and non-medical) within a person’s home – is a sector that has grown rapidly over the past decade. Again, with the government cutting state funding for home care, private players will enjoy a growing share of the market. You will need to come up with a financially viable business model for your care home. Think carefully about how many local authority placements you can afford, if any, and what kind of care you will supply. You don’t necessarily have to cater to the elderly. One operator, for instance, told BusinessesForSale.com how, after a long career in the care industry, he bought a care home and targeted people with learning disabilities. There will be a demand for bespoke care for those that can afford it. Otherwise, you’ll need to consider funding options carefully. "I spent time looking at the funding that each sector was entitled to,” said Ron Snidjers, the operator quoted above. “The funding element is crucial; it is affected by postcode, what provisions you have and a whole range of factors." You can never do too much research. "You must do your homework," continued Snidjers. "Take a long time to research and speak to providers, directors of social services, and people in the NHS. Overall it took me 18 months." Business broker John Joyce of Redwoods Dowling Kerr has experience of running a care home. He believes buyers fall into two groups. "On the one hand, there are the ex-professionals, who have worked as nurses, social workers or even GPs, and are looking to run a business themselves," he says. "On the other hand, there are those who are looking at care homes as a profitable business venture. In this case, it's absolutely necessary to have qualified and motivated staff." The latter tend to target the larger homes, where administration can be more of an issue. Meanwhile, owners of smaller homes tend to adopt a more hands-on approach because they can't afford to separate administrative, managerial and nursing functions completely. Local authorities are unlikely to accept an application for registration from an individual without qualifications or any experience in health management or the caring professions. The price of care homes typically ranges from around £500,000 to £2m – although there will always be homes valued below this range which have made, and can continue to make, healthy profits. Lucrative though a care home can be, you must adhere to the highest standards when running one. The care home sector has been the target of significant media attention over the past few years, and homes are now carefully monitored," warns Joyce. The most important piece of legislation governing care homes is the Care Standards Act, which in 2000 established a National Care Standards Commission regulating the entire sector. The act legislates minimum standards for nursing, facilities, entertainment and the general environment, to ensure that the physical and emotional needs of residents are met. As well as meeting these general standards, you should also seek to understand the specific needs and problems of each resident, so you can tailor their care and provide them with a home rather than a house. It's not enough to give residents the right drugs and feed them properly – they also need stimulation. Day trips, light exercise programmes, library services and social events are some of the things you can provide. Owners also need to ensure that basic needs that cannot be met in-house are provided for, so you will need to bring in hairdressers, dentists, doctors and so on. With rising costs, greater expectations from customers and an increasingly competitive market, promoting your care home well will be vital. Intelligent marketing that responds to the evolving market opportunities that government funding caps and increased choice will bring is the way forward. It’s important to understand that your messaging must target an age range roughly spanning 45–90, including younger people making decisions on behalf of their parents or other elderly relatives, and ‘user-choosers’, who are researching for their own or their partner’s provision. And with increased life expectancy comes another remarkable trend: people in their 70s looking for somewhere to house their 90-something parent. Every care home’s marketing needs will be different, but it’s worth bearing in mind that all generations are now used to sophisticated and persuasive marketing in all products and services they buy – and they’ll expect no less from a potential care home. A good starting point will be to send out sensitive and positive messages that appeal to all age groups. Using bright and modern images that reflect the reality of older people’s lives, and messaging that addresses the issues tormenting decision-makers in a reassuring and supportive way, will be far better than glossing over things with unrealistic portrayals of life in a care home. Potential customers will also want detailed descriptions of facilities and the care on offer. Also, invest in your website and social media profile. And forge solid links with the local community ­– perhaps by holding regular coffee mornings and inviting local schoolchildren to visit. But the biggest key to sending out the right messages will be having your heart in the right place to start with. As Joyce says: "Most people want to run a home for moral as well as business reasons." Now, more than ever, the success of a care home will depend on a desire to make a difference, as well as careful financial planning and business savvy.